This Southern Oregon iconic orchard fruit producer works with vineyards throughout the state for its consumer-friendly, medium-bodied Chardonnay program. Its fun nose of orange gummy bears, Golden Delicious apple, facial powder and peach skin leads to an apple pie entry that acquires bright layers ranging from cherry juice and kumquat to candy corn in the finish. 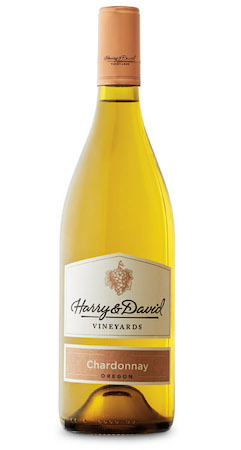 Harry & David suggests pairing its Chardonnay with Grilled Prosciutto Wrapped Prawns accompanied by Harry & David Chunky Mango Relish.